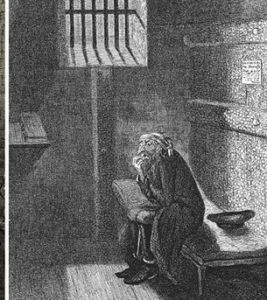 The Crime and Punishment tour take you on an interesting journey through Bedford’s 19th Century criminal past, visiting various graves in the cemetery that include an innovative Prison Governor, a murder victim and a policeman. Please note: The cemetery ground is uneven so wear sensible shoes. When viewing memorials, please do not lean on them. Although memorials can appear stable, when pressure is applied, the stability can fail which could result in injury to yourself or another person.